*Thanks to TheEndIsNear for editing help! Stax is a term used to describe a deck strategy that mostly relies on resource denial, taxing effects, disruption, and sacrifice enablers to potentially lock down opponents and make it difficult to cast spells, play creatures, attack, breath, sleep, and/or have any kind of reliable board state. The goal is to build your Rube Goldberg contraption of denial as fast and efficiently as possible thus allowing you to set up your win cons unopposed. Stax decks use a inefficient = efficient mentality when it comes to the game of Magic the Gathering. What this means is you're turning cards that normally would hinder everyone work to your advantage. A simple example is playing Winter Orb when you have a stronger presence of alternative mana production. This allows you to play through such effects more efficiently than your opponents. -Do you play in a competitive Meta with mature adults? -Do you feel Land Destruction is a perfectly viable strategy? -Do you enjoy control type strategies? -Are you not opposed to being the target every game? 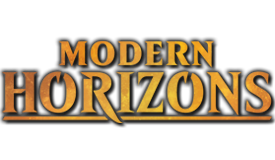 -Do you enjoy longer, more complicated games? Stax decks are not friendly. They're not buying you beers or laughing at your Chuck Norris jokes. They will generally become the table's focus once up and running and will draw out games beyond the 20 minute mark. They are difficult to pilot and can be frustrating to do so. But that's not to say that can't be fun to play and play against. A lot of people like challenges, probably why people climb mountains or get married, and this is the type of deck that gives you one. Stax decks are not good stuff decks, or battle cruiser. They do not play big creatures and rarely have more then two or three of them out at a time. They also aren't big mana decks pushing out huge plays on turn five. They're slower, more restrictive, and really rely on the pilot to know when to play certain cards and when to hold back. Lets look at some lists since people love lists. The decks name came from this card, so you have to have it right? While Smokestack is definitely a powerful element of the stax strategy, it's not a necessity. 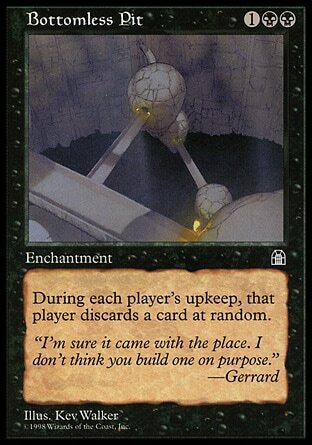 In edh you generally want to play this card early to mid game or late game after a large wipe. Early it kills the tempo of your opponents plays and can seriously hinder forward progress for them. Mid game it will slow down and start to disrupt your opponents. Late game, your opponents will usually have a developed board with a possible surplus of resources, so it is not as potent. 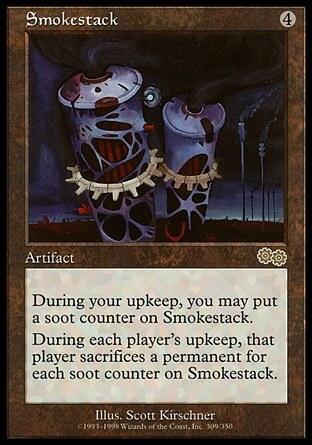 Like Smokestack, this card is relatively powerful early and mid game, but lacks late game. However, Combined with Smokestack and/or Static Orb, you can soft lock the table for a few turns at any point during the game. This card seriously kills tempo and is a mid-late game power house. A well developed bloated state becomes a very ineffective one due to the heavy restrictive ability this card has. It's optimally played after the person with the most position taps out. This will set them back turns. With Tangle Wire it can create a soft lock. Like Static Orb, but it only effects lands and tacks it up a notch by only allowing one land to untap. Brutal with most of the above stax package. If your opponent(s) are light on mana rocks and/or mana dorks, this will set them back turns like our friend Static Orb. On top of locking up and creating attrition for resources, we also want to just straight up nuke em as well. Cards like Strip Mine, Wasteland, Tectonic Edge, Dust Bowl, and Rishadan Port provide targeted land removal. With restrictors like Winter Orb and Static Orb we can Time Walk someone pretty easily with out having to spend 500+ dollars and breaking the rules (it is banned FYI). 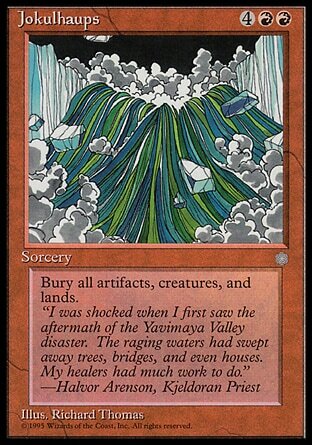 Also, in EDH targeted land destruction is pretty much a requirement so most of these cards should be in your 99 anyway. So this is a new one, and not really considered a stax card since its not taxing, taping, or causing permanents to go bye bye. But, what it is doing is rendering some of the most useful and potent creatures in the format useless. It also shuts down our dreaded enemies like Aura Shards, Acidic Slime, and basically anything that says "when this enters the battlefield, you're stuff is blowing up". Definitely worthy of a place in the stax family and I wouldn't run a stax deck with out it. So basically, from the above list and card descriptions, we can kind of get a idea of what a stax deck is trying to accomplish. 1) Sac: Creating mandatory loss of resources, threats, and effects. 2) Tap: By forcing resources and threats to either tap or not untap renders them close to useless to the player controlling them. It also restricts what that player can accomplish during their turn and yours. And as you can see, that's a pretty strong, yet small package, that can be added into any deck and is a great back bone to starting a stax strategy. But, obviously, that isn't where the fun stops. Each color has cards that add to this in their own way. Now, instead of going through each and every card and turning this primer into a George R.R. Martin novel, I'm going to list some of the more known and powerful cards based on what category it falls into and by color. To not limit ourselves to just the three main elements of stax, there are a few other effects that can be extremely beneficial to the strategy depending on what your trying to do in your build. One strategy is to make the battlefield a pretty lame place for creatures. Some of these types of effects are one sided while others are universal. The one sided effects are usually more beneficial and easy to build around since they don't effect your board state. These should be greatly considered when brewing. The universal effects require a bit more tweaking to the deck so they become advantage rather then Disadvantage. 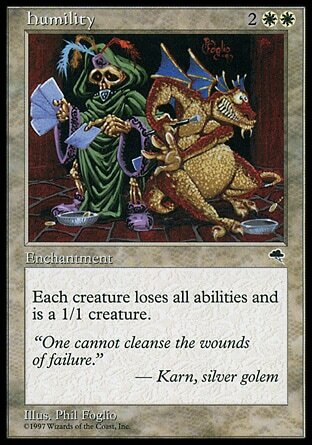 Not only is this card a rules nightmare, it's also every player's as well. In EDH many decks are heavily dependent on it's creature base and humility very effectively hinders that. A fun trick with humility is to run it along side cards like Night of Souls' Betrayal to turn the battle field into a acid pit. Another cute trick is to drop it in second main phase after your opponent's creatures have taken damage. If a 12/12 took even one point of damage during combat, it will die on the end step since the damage still remains and it is now just a 1/1 nothing. The Humility strategy usually requires you run a deck not heavily dependent on creatures. The same goes with Confusion in the Ranks. You want to trade up not down, so playing something like Vorinclex, Voice of Hunger with confusion out isn't the smartest idea. Confusion in the Ranks also works very nicely with our standard stax permanents since they're mostly global effects, so who cares if we trade them to another player for their Gilded Lotus or Survival of the Fittest. Cards that also provide denial effects can also be potent in a stax strategy. 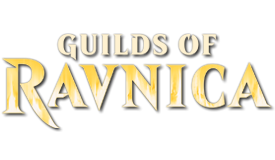 Ward of Bones, Stranglehold, and Mindlock Orb should be considered if you want to hinder opponents gaining a large board position or stop them from tutoring. Discard is also a very potent and annoying element of stax that should be considered if you're playing black and/or your friends like Consecrated Sphinx too much. Also, since one of the goals is to make it hard for people to play magic, they kind of can't do that with no hand. Other cards like Mind Sludge and Mind Shatter can be OK as well, but what you're looking for permanents that effect your opponents or the entire table. Players can recover with a timely top deck or tutor, but have a harder time doing so against a constant grinding of their hand. Common in stax builds is wraths and land screw tactics. These run alongside things like Smokestack, Winter Orb, Static Orb, and Tangle Wire to create soft locks or hard locks on the board. 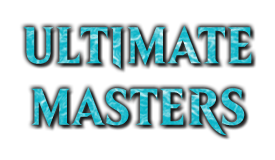 By eliminating the mana base of every player on the table, or destroying all the creatures, you're making it difficult for your opponents to continue productively and react to your plays. This is usually one of the final steps to accomplish in a stax deck and is a great set up for your finishers or alternative win con. Playing Armageddon while a Smokestack with one counter and a Static Orb out leaves your opponents with an extremely limited amount of resources to play with. Wraths also help clear up a board if your opponent(s) are getting vastly ahead in position. And since we've built our deck to be resilient to wraths with reliable token production, Land/Artifact recursion, and mana rocks we can recover faster than most decks, thus putting us in the pole position. 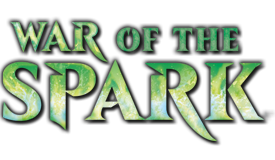 The majority of the effects played in a stax deck effect us as well as the other players. The second job of a stax deck is to make it so the deck runs efficiently and actually accomplishes something besides ruining the game. Here we're going to go into the most common and optimal strategies for doing so. Most stax decks enjoy running above the average amount of rocks seen in your everyday build. This greatly reduces the effects of land destruction, tap down denial, and sac effects. Cards that are one sided cost reducers (Ruby Medallion) or mana doublers (Mana Reflexion) also work extremely well. Cards like Land Tax allow a steady stream of lands each turn to both feed a sac effects or keep yourself ahead of the table in the mana department. Crucible of Worlds, which has become a staple in most stax decks, also greatly helps reduce the effects of land destruction and sac effects. Chromatic Lantern is a good option for 3 color stax decks as it provides easy recovery after land wipes and fixes your mana base while providing mana itself. Don't forget the Signets. They provide mana fixing and go great along side mana rocks like Thran Dynamo. A stax deck should always have a curve around the 2.5 mark. It allows it to function with in the limited resource adventure land it has created. Ever wonder why dark confidant is considered good in EDH? Because in a stax deck, it's a win condition that draws you two cards a turn. It helps stax re stock the grip while beating a slow death to opponents running unreliable curves, as they sit in top deck mode looking for six mana to cast their "EDH cards". You should be able to cast most of the cards in your deck even when mana is bent over the barrel. It's why cards like sword of ice and fire and umezawa's jitte are great in stax decks. It turns you hate bears into very efficient attackers that can close out a locked up board quickly... all why keeping your deck in the bargain bin of curve land. Besides opponents quitting the game to soap box rant on how you've ruined the game, you need to kill them with damage. In a stax deck, the best way to do that is with creatures that are also taking a huge dump on the game while they're also punching your opponent for damage. Hate bears are your new favorite type of creature card. These are all examples of great low curve creatures, perfectly fit and willing to get sideways while equipped with a sword, while all the while crop dusting your opponent's strategy. Another often seen strategy in stax is tokens. Tokens are probably the number one go-to for feeding the sack cards we're playing. 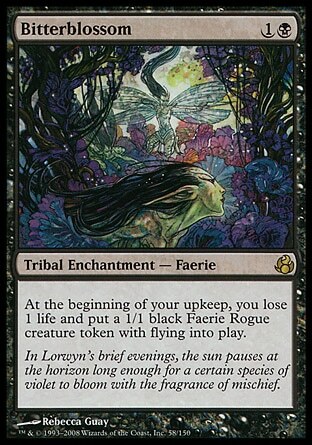 A steady stream of tokens reduces the amount of worthwhile permanents we would normally have to sacrifice. Token doublers such as Doubling Season and Parallel Lives are also highly effect cards when building tokens and should strongly be considered if running green. Recurable creatures such as Reassembling skeleton, and Bloodghast are also commonly used in stax builds, as they also feed the sac effects. Mana dorks can also be useful as they provide both an alternative mana source and can be sacrificial fodder once you have a strong set of mana rocks and/or a resilient mana base up and running. Ramping is another possibly useful tool in a stax build. Being able to always maintain a steady flow of land drops will help reduce the effects of the taxing, taping, and sacing going on. As I mentioned above with recurable creatures and Crucible of Worlds, stax decks often like to employ some recursion tactics to have a source of sacrifice food and to get back important pieces. Most recursion in a stax deck also needs to go double duty as space gets limited in the deck. 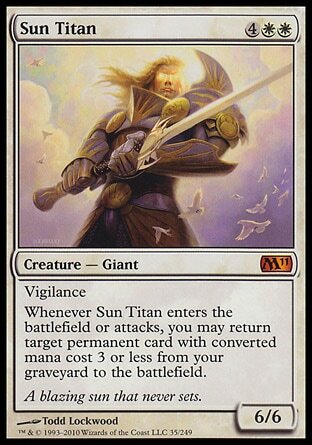 Cards like Sun Titan provide both recursion and can act as a finisher. Trading Post is possibly one of the best Swiss Army knives in a stax deck's arsenal. It has the ability to create tokens, get back important pieces and mana rocks, it draws cards, and gains you life in a pinch. Academy Ruins is another fantastic tool for recurring key pieces, and it also taps for mana. As you can see, there are a lot of cards that interact with Salvaging Station (I didn't even list all of them) and provide various effects while also giving you easily recurable artifacts and a possible win condition. The package is large and space consuming, but should definitely be considered. Besides everyone rage scooping, the game being unable to go on because the table is upside down with the cards under it, or you've be ambulanced off do to a head wound, there are other ways for a stax deck to win. This part is up to you and I'm basically just going to go over a few card suggestions I find fun and effective to winning the game. I mentioned Salvaging Station earlier as a good win con, and Sun Titan as a good finisher. Another card I'd like to bring up is Vicious Shadows. With the amount of creatures hitting the graveyard, this card can deal some serious damage and help you run away with the game. Now that we know the type of cards and elements go into a stax deck, lets talk about what to and not to do. There are a lot of legendary creatures that make amazing generals for a stax deck. But, Lets be honest. A stax deck can operate with out ever casting it's general. The color selection is the most important aspect, so lets stare at those until they're uncomfortable. BLUE Roles: Both a main player as well as a support color. Blue has access to control, card draw, and some very strong stax effects. We've got taxing, sacrifice, bounce, and hand manipulation. Black Roles: Backbone in most stax decks. Great support if you're going with a discard sub-type. White Roless: This is where you're going to go rely on your wraths and pillow fort cards. Great support and surprisingly strong as a main player. White is another strong color is stax. Land destruction, wraths, Taxers, recursion, Token makers, and some of the best removal. Red Roles: Very strong land destruction and artifact removal. Excellent support. Red is a great color support color in stax. The best land destruction complimented by the best artifact removal means you can keep a lot of your opponent's mana sources off the table. Add in some chaos to really cause a vein to pop. Green Roles: Ramp and some fringe effects make green a decent support color depending on your build. Green in stax isn't as amazing as the rest of the pie, but still can be a good support color due to it's ability to recover, through ramp, from disruption. Green also makes tokens efficiently and has a few effects here and there that fit into the stax strategy. Your best bet with Stax is focusing on 2-3 colors. 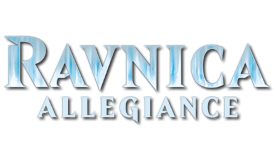 Azorious, Orzhov, Grixis, Raka, and Esper are probably the stronger color combinations for stax, but in all honesty, it's really the deck and what you put into it that will really make or break the deck. Just jamming every UBW stax type card into Zur the Enchanter and trying to get there is just going to end in a giant frustration tantrum. Another key strategy of a stax deck is to keep a relatively low curve. You want to be around 2-4 mana with very few cards above that. Remember, cheaper cards means easier more valuable turns. Tapping out for one card that's just going to eat it before it untaps is not going anywhere near value town. It's driving into an embankment 60 miles out side of it. First thing you want to do is look at what is your exact goal. Do you want stax to compliment another strategy, tax the board into oblivion, or create a terrible place for permanents to live? here where cutting off mana while making spells and attacking more expensive. With a strong mana rock package, you easily slide around these effects and can reasonably keep ahead of the table. Here, you can see were both attacking their mana base as well as their other permanents pretty efficiently. Again, with an efficient alternative mana sources and recursion, you easily can get around your terrible horrible board state. Opening hands can be tricky, especially in EDH and especially with Stax. Lets look at a few factors. If you're running a 3 color deck you probably want to see each color represented or the means to do so as soon as possible. A mana rock, part of your strategy, and a strong land start is optimal. Top and draw are good as well, but don't be afraid to throw away some strong cards to get a efficient start into the game. If you're durdly and let the table get to far ahead, it's going to be a long climb out of that hole to re-establish the board as your own private wasteland. This might sound off, but tutors are not as powerful here as in other decks. If your hand is looking OK but not good and has the posibility to stall and has a tutor, pitch it and try to get something you can use to establish your board. Tutors in stax are for grabbing answers or a key piece later on, not getting what MIGHT be the best thing right now. I'll explain more about this in the mid game section. Main focus early is to slow the early plans down most decks are going for. Ramping, tutoring, mana fixing, etc. Cards like Trinisphere , Land Equilibrium, and Aura Of Silence. Even an early Winter Orb early game in the right deck can set you miles ahead of the table. 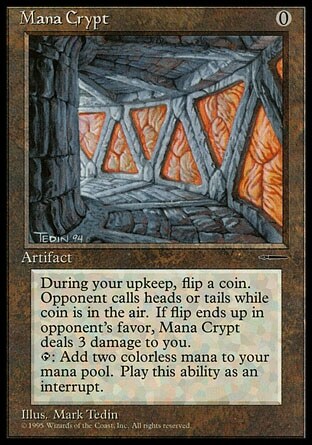 Or just simply establishing a good mana base through alternative mana sources is a good early game strategy. Then there's certain circumstances, where you want to push out cards like Smokestack as soon as possible. If you have a mana rock and say a Bitterblossom or Crucible of Worlds, then don't be afraid to push out that Desolation or Braids, Cabal Minion on turn 4. Mid game is the tricky part of the Stax deck's game. In this stage of the game, it's very common for the game to be in 3 vs 1 mode... and sadly, you're not #3 on the beat down team. When entering the mid game with any kind of stax engine going, you really want a few things; things that make attacking you non-profitable and/or expensive, a wrath, and/or suitable blocking. This is where you want those tutors, because you really don't know what you're going to need in the mid game. Really need an Damnation? Too bad you wasted that Demonic Tutor to go find Solemn Simulacrum to fix your mana, or Sensei's Divining Top because you love peeking at cards. You want to keep the table stable and not lose too much of your board mid game. Don't accidentally overextend here. Playing cards to try and re-establish control can backfire if you're not backed by some control. It's ok to lose some cards to removal. If there's ways to recur some things, definitely sandbag some of your strong cards. Mid game EDH can be very swingy, don't feel like you have to rush more of your strategy onto the table to keep things going. But if you have the table on the ropes, don't be afraid to lay it on here either. This will usually take the mid game into the late with you very far ahead. In situations where your opponents are heavily low on mana resources while you have strong alternative mana production or a dominating team and have a mass land destruction spell or enough mana for a large Death Cloud don't hesitate. Late game can be tricky. Either you're in the pole position, climbing out of a hole due to mid game beats, or completely screwed. Here you either want to just keep the pressure on and wrap it up, try and re-establish by focusing on keeping opponents win cons off the table, or *grasp for a last ditch "reset" to slide the game back into a early game state to try and re-establish. Cards like Jokulhaups and Obliterate can do this. The best bet if behind, is to try and keep the opponent's win condition from killing YOU. Don't worry if it's swinging into the other player. Keeping them off your back gives you time to draw into a possible answer or re-establish a bit into a late game advantage. *This line of strategy should only be used in established metas with people you are comfortable playing with and vice versa. Remember, EDH is a Social format, and simply by showing your play and asking if the table wants to continue, stop, or would feel better if you simply didn't hit the reset button unless you plan to win can prevent someone from going from having a good time to a miserable one. Hopefully this primer will help you understand the function and goal of a stax deck. Another thing to mention is that a stax strategy can be played along side others quite well, such as Pillow Fort, Voltron, and Control. It's up to you what you want your deck to do. As the suggestions and card examples made this possible. I'd also like to thank the staff of the EDH forums for keeping the stax discussions relatively troll free. Hopefully this primer will grow, as I encourage suggestions, criticisms, and discussion. When you absolutely, positively got to kill every permanent in the room, accept no substitutes. Reserved, just in case I need a place to shoot myself. Holy crap this is cool Phil. I have always wanted to read a good one of these. No love for Propaganda and its ilk in the tax section? I've often seen them mentioned as Stax staples. Kudos for getting this together by the way! Eventually I may add a section for that. It's a work in progress. I just wanted to work on the basics for now. Not bad, I like this! I can definetly do that. Since it was an easy edit, added propaganda and such (as suggested) to the tax portion. After thinking about it for a minute it was silly to not include them right off he bat. Two things: First, I'd like to see more card tags in there, and second, aside from. The Worldwake manlands, what else do you animate for sword holders? Have you changed your opinion on the Keyrunes? It's a work in progress. I just wanted to work on the basics for now. It looks very nice thus far. 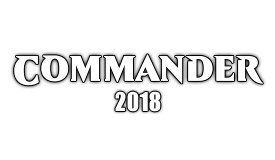 If you want to smaller images, wizards has a compendium that makes it easy. For example, Smokestack would be http://www.wizards.com/global/images/magic/general/Smokestack.jpg Certain characters ( ' , - and space) are replaced with _ (underscore). All the cards mentioned though either have a tag or are tagged in a List. I felt it would a bit redundant to have smoke stack tagged every time I mentioned it. I use the one key rune, and will add the other two when they're released. I also equip tokens as well. i'm shocked - SHOCKED! - how many stax cards i'm running without knowing it! I mean, Price of glory, Butcher of Malakir... ok. What do you call Invader Parasite then? Shudder... In a way, doesn't every deck have it's stack elements, as you just can't let those maniacs out there do their thing? Invader Parasite is more along the lines of "Punisher". Stax is all about denying access to resources. Punisher is about making people pay for using those resources. 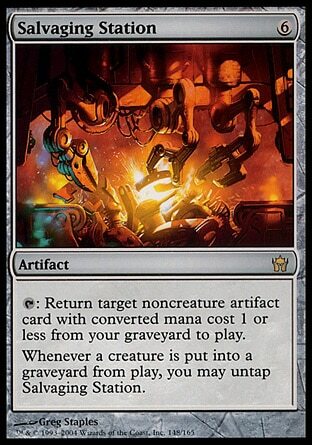 Ward of Bones is another colorless card I'm a fan of to keep creature (and other permanent types) counts low. [Primer] [Barrin's Tome]: A Master Wizard's Spellbook. Springjack Pasture is a decent token producer as well and taps for mana. I had land equilibrium under sack, and added overburden. I'll add any card that I missed to the main list, I want it to eventually have most to all stax like cards mentioned. Thank you for this Phil. I can't wait to actually get a stax deck together. No love to The Abyss? Is Capsize too expensive for Stax? 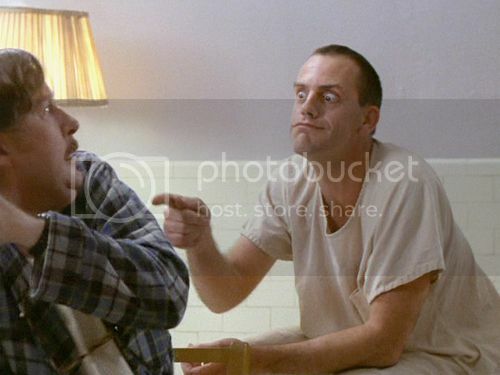 Resetting Tangle Wire or bouncing Stasis right before your turn so you can untap seems good. Thank you so much mchief111 for the amazing art! BUG is the Jund of EDH! Neat, thanks for the primer. I'm ashamed to admit I didn't know where the term 'stax' came from. I was wracking my brain... Stasis + tax effects? Oh, I get it: Smokestacks! Capsize is absolutely filthy in my GA4 Tax deck. Slum reaper probably wants to make the black sac list. 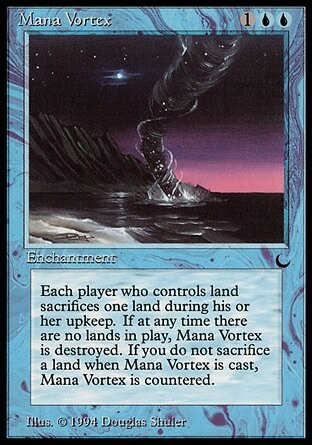 Back to Basics is a pretty brutal blue "tap" effect and Invoke Prejudice a powerful "tax" effect. Capsize is great, but it's more of a control card. I don't know, it's seems in edh the definition of "stax" is a lot broader then the legacy/vintage one. Hey Phil I think flayer husk needs to be included with the salvaging station package. It gives 2 permanents to sac to the stack. They might already be on the list somewhere, but Ichor Wellspring and Mycosynth Wellspring are among my favorite things to sac to Smokestack.